Virat Kohli broke the world record of the fastest 10,000 one-day international runs, needing only 205 innings to get to the mark. He surpassed the record held by Sachin Tendulkar, who achieved the feat in 259 innings. 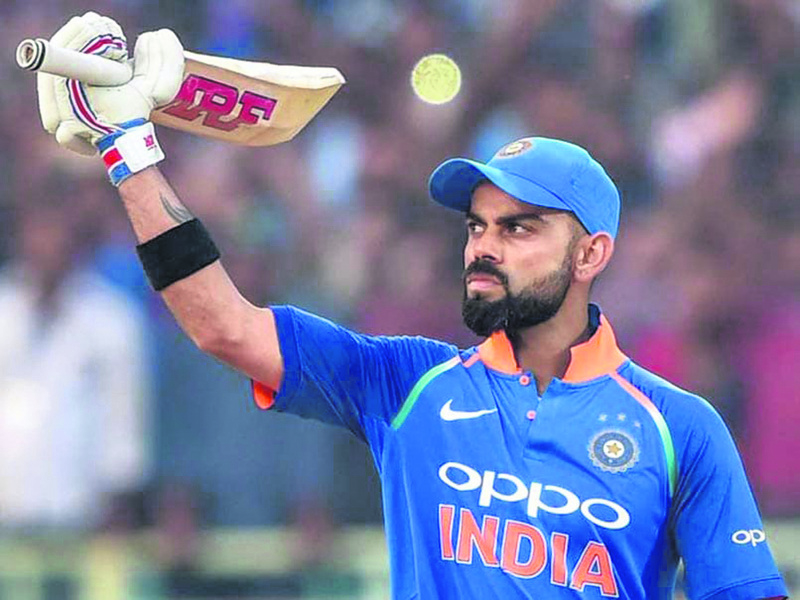 Kohli reached the milestone while batting on 81 during the second ODI against West Indies in Visakhapatnam. He took a single to long-on off the bowling of off-spinner Ashley Nurse. Tendulkar, who was the first in history to breach the 10,000 mark in ODIs, got there in 2001 against Australia in Indore. Twelve other batsmen have scored over 10,000 runs in the format. Tendulkar leads the list with 18,426 runs while Kumar Sangakkara is second with 14,234 runs. The only other active player on the list is MS Dhoni, who passed the milestone against England at Lord's earlier this year.